was initiated in 2003 by UMVIM-NCJ with the objective of providing mission team service opportunities for those in educational professions. Teachers are needed all over the globe to help instruct both youth and adults and show by example how Christ is part of their lives. 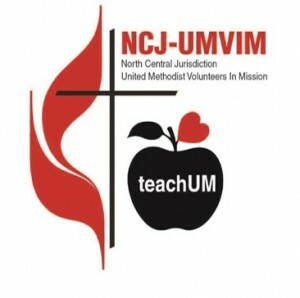 Examples of teachUM teams are Vacation Bible Schools, camp counseling for underprivileged children, teaching English as a Second Language (ESL), teaching in United Methodist classrooms around the world. More and more teams that serve now have teaching components built into their mission program. Join a team that will have education as part of their service work – All jurisdictions have a future teams list. And the teams should specify if there is a teaching component on the team. Find the NCJ Future Teams List on the About Us Page. Lead a team that focuses on the education component– the USA Opportunity List and the International Opportunity List found under Opportunities to Serve both have places that want educational teams. The international sector is a bit different. Many places want teachers – particularly to teach English, however, there are other options. Become an Mission Volunteer – spend two months or longer as a volunteer where the project needs educational help. The Mission Volunteer program requires an application, a training session and reading. You can learn all about it here. As part of Disaster Response – there is a training component that focuses on Children in Disaster. UMCOR asks us to utilize the Children of the Brethren training program as it is excellent. Those held in our jurisdiction will be lifted up on the UMVIM-NCJ Trainings Page.